For years I have wondered what makes someone cool. 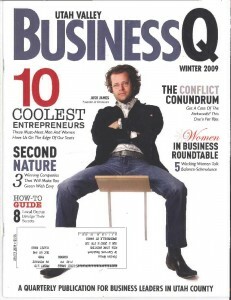 Then, in the most recent issue of Utah Valley Business Q I figured it out. 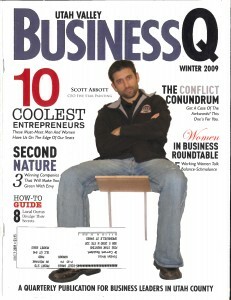 When you read the article on the top 10 coolest people in Utah you will notice that one very notable cool person is on the cover, and he has a beard. I was intrigued, and starting flipping through the pages to find out if this was maybe a pattern of coolness. And it is. Four out of eight of the coolest people in the Business Q article have beards. Then I realized that there are more cool people that I know that have beards as well. Greg Warnock is a member of our board, and definitely cool. Michael Sikorsky is absolutely cool, and he has a beard as well. So I did what any rational person would do that wanted to be cool as well. I grew a beard. What do you think? Does the beard do it for me, or should I lose it and against the odds try to be cool without it? If you are wondering if you should grow a beard to help you attain coolness I compiled some information on beards that may help you in your decision. The study of beards is called pogonology. Men grow a beard for many reasons. They do it out of Religion or culture, or to change their personal style and appearance, change the shape of their face and jaw line, let it grow out of laziness or in some cases to “hide” something. Additionally some men look better with beards, not all beards are unkempt, and some do fit actually certain facial types, in the end it all comes down to subjectivity – who you are dealing with and if you are forced to shave or not due to the job you have. So being part of a man’s appearance, beards can lead people in a certain context to make judgments in one way or the other, positive or negative. A study from the University of Texas Austin found that men with facial hair were perceived as more aggressive, less appeasing, less attractive, older, and lower on social maturity than clean shaven faces (UTexas.edu). A study on men with facial hair found that 63 percent of them believe it makes them more manly and attractive, whereas 92 percent of women said they preferred a clean-shaven man (Suite101.com). Billy Mays was a famous pitch man on television, enthusiastically selling a variety of products. Through his work on television and personal appearances, Billy Mays became a celebrity. Just as famous as Billy himself was, so was his dark full beard. Billy demonstrated to the world that a full-bearded man could appear in advertising and achieve great success. My view is that while beards can definitely bump up the coolness factor, there also can be an itchy factor. I would love to have a study done on what percent of men don’t grow beards because it just is too itchy.